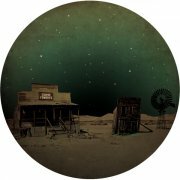 The third EP of the Cosmic Cowboys marks the 3rd review on a Musik Gewinnt Freunde release here at my blog. And it`s not the first time I said that Kollektiv Turmstrasse are one of my all time favorite acts when it comes to music, so it is normal for me to keep an eye on their label. It`s good to see that Turmstrasse keep their quality standards very high when it comes to released music, and Cosmic Cowboys rise to their expectations with some original songs. Notre Jour Viendra means Our Day Will Come, but nobody will care about that when they hear the song. You can expect to hear a deep sentimental song (in an electronic way), placed on an irresistible beat. youANDme`s vision is more rough and electronic, but still keeping the good rhythm and parts of the original. Lake People`s view is considerably slower and darker than the others, but in a good way, and it allows you to chill out and relax on a couch, and definitely not meant for the peaktime. The last track, Deux Histories, translates as Two Stories, and you can feel the gravity of the musical notes on your spine, the song being more deep and dark as compared to the original Notre Jour Viendra. A very solid release, with positive feedback from Audiofly, M.A.N.D.Y., Kaiserdisco, Luciano, Dubfire, UGLH and many more. Listen to it below. The EP is out next week (5th of December) in your favorite electronic music shops.